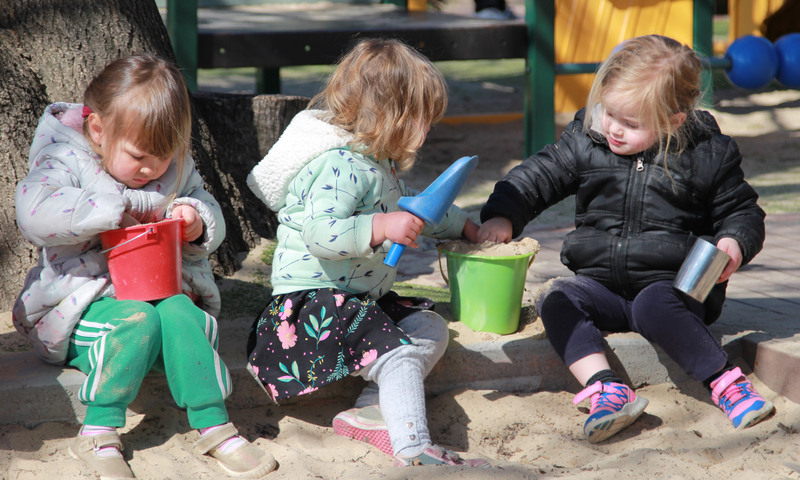 We are a community based non-profit organisation with the sole purpose of providing child care and pre-school facilities to Canberra and surrounding communities. The Centre is managed by the Wattle Community Association Inc., an incorporated association in the Australian Capital Territory. Parents and families of children in care at the Centre are encouraged to join the Association. Wattle Child Care Centre opened in July 1992 with 25 places, was extended to 28 places in 1993 and to 31 in 1999. The name was changed to Wattle Early Childhood Centre in January 2000 to better reflect the educational programs offered. At Wattle Early Childhood Centre, we believe that all children will be treated as individuals, respecting each child’s differing abilities and skills. We will support all children to become confident and capable learners, whilst building children’s self esteem through a wide range of learning experiences. We acknowledge the traditional owners of the land we live and work on, the Ngunnawal people, and aim to respectfully incorporate elements of the Indigenous culture into our curriculum and learning environments. We acknowledge that we live in a culturally diverse nation, and we will strive to provide an environment which demonstrates respect to each child, family and educator’s rich culture, traditions and backgrounds, and provide an inclusive environment for all, by offering and providing experiences and a learning environment that holds a strong link to the diverse world we live in to give children an opportunity to contribute and connect to their world. We believe in the power of our community, starting with a strong management committee who are committed to providing a high quality service for our local community and strive for continuous improvement. In conjunction, we believe that our local community plays a major role in our curriculum across the centre. We support each child to discover the world around them, through the assistance of strong community links and engagement within our local community. We recognise that high quality education and care requires skilled educators who are qualified, understanding, knowledgeable and caring individuals and we are committed to recruiting and retaining educators who demonstrate these skills. We as educators, see ourselves as co-researchers and partners in learning alongside the children. We will allow children to ask their own questions, through exploration and discovery, generating many open ended possibilities. We will also encourage and challenge children to influence and guide our own pedagogical practices in our daily routines and experiences. We acknowledge that children are our worlds’ future and will be the custodians of our environment. We are committed to embedding sustainable practices within the centre and the wider community. We will utilise our environment as a third teacher, giving the children a sense of belonging in our world. We recognise each family as unique and we strongly value our families’ contributions to our curriculum, through participation, involvement and feedback. We value feedback as an opportunity for continuous improvement and to assist us in building stronger relationships with our families, children, educators and community. We believe children have the right to receive an educational curriculum dedicated to early childhood learning principles, outcomes and theories. We acknowledge the Early Years Learning Framework, and embed a practice of play based learning throughout our curriculums and daily practice. We also believe that some of the best opportunities for learning is through exploring risks, allowing children to analyse their environments and challenge their own learning and development. We encourage children to play in all environments and weather – rain, hail or shine; jumping in muddy puddles, climbing trees, building forts and cubbies and cooking mud pies in the mud kitchen. We strongly believe children have the right to be treated with respect and to have their voices heard. We are dedicated to being strong advocates for children’s rights, and allow children opportunities to develop relationships and engage with their peers, educators, families and community, with the aim of building each child’s confidence to communicate their thoughts and feelings.